Wouldn’t it be nice if those flying monstrous creatures came into play gliding so they can assault on their next turn? Turns out that may be possible – COME SEE! 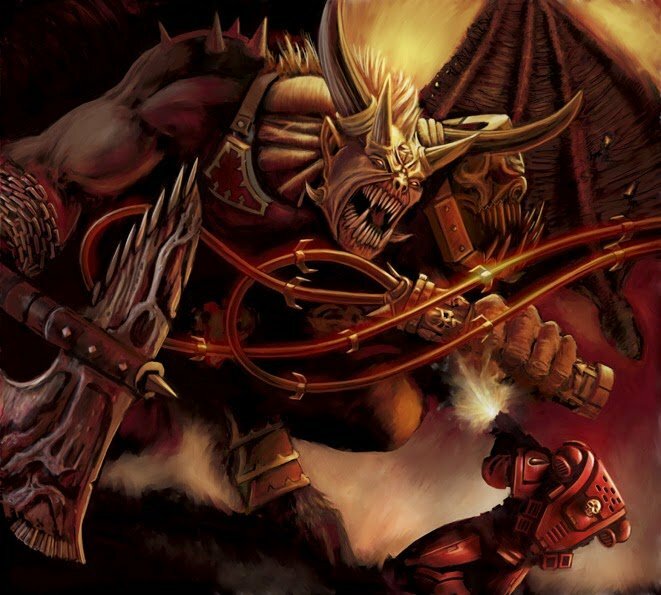 According to the new Daemonkin book, Blood Tithe triggers at the beginning of the Chaos players turn (p.110 Daemonkin), so Daemon Princes or Bloodthirsters received from the Blood Tithe appear at that time. 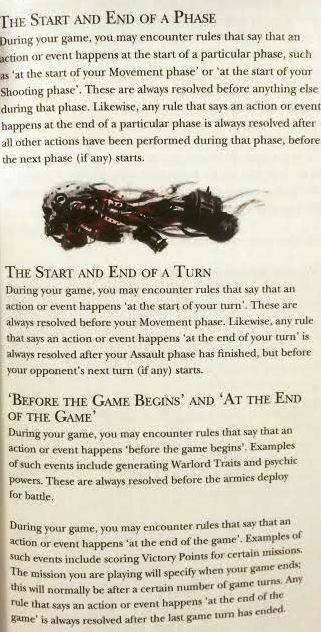 Now if you look in the main rule book (page 17) it clarifies that effects that happen at the start of the turn are resolved BEFORE the movement phase. The rules for Flying Monstrous Creatures (p.68) indicate that you can change your flight mode at the start of the movement phase which we’ve established is after said units arrive via Deep Strike from the Blood Tithe. Under Deep Strike (p. 162) it states in the middle column halfway down that ‘Deep Striking Units can not move any further…’ so they apparently still get a movement phase however, can NOT benefit form normal movement therein (i.e. ‘move any further’). From that line of thought it seems like you are still allowed to change the flight mode of a FMC because that unit still gets it’s movement phase? So diving even further down the rabbit hole, any FMC held in reserve arriving via Deep Strike (Deep Strike Reserve) comes in at the beginning of the turn, also before the movement phase begins, and theoretically can also change flight modes as well. Talking to you Flying Hive Tyrants, and Nurgle/ Tzeentch Princes! (Keep in mind too that both modes allow you to run after Deep Stirke- either one or two D6’s depending on if the unit was Swooping or Gliding). That seems to indicate that if you receive a new Daemon Price via Dark Apotheosis (or a Bloodthirster) that you can bring it in Gliding so that it may charge on it’s next turn. Furthermore it also seems to apply to all FMC’s arriving from Deep Strike Reserve in general?